Perhaps it has something to do with that romantic idea of Paris in the spring, but my most recent children's book-purchases are both set in France. The first, is called 'Madeline', by Ludwig Bemelmans. The heroine of the title is a little girl who lives in Paris with eleven other petite filles, under the care of a Miss Clavel. 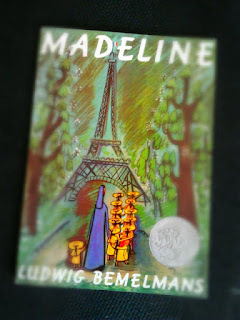 Although the book describes 'tweleve little girls in two straight lines', Madeline is anything but straight-laced. 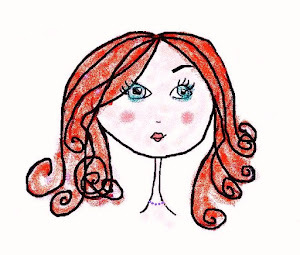 She is feisty, determined and inventive. She laughs at the tigers in the zoo and delights in walks in the rain. She knows how to terrify the grown-ups and shies away from nothing. What an antidote to the 'princess-perfect' female characters so prevalent in today's media. For 'Madeline' is a book of its time. Published in 1939, it cannot escape our attention that this book is set in Paris, at the outbreak of the Second World War. 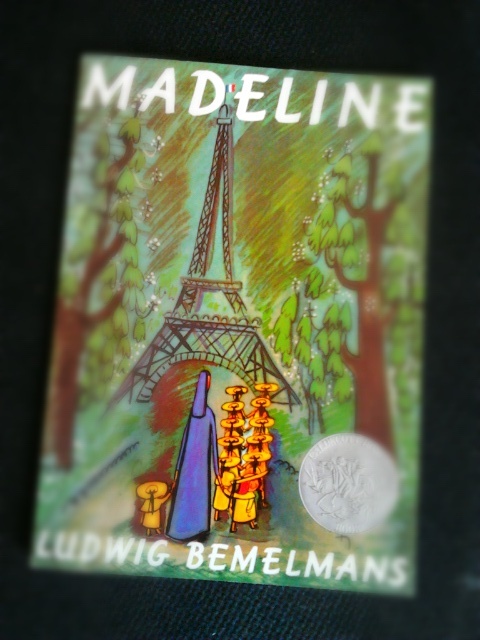 There is no mention of the invading Nazis, but it is heart-breaking for the grown-ups reading this book to think that in reality, a child like Madeline, living in Paris, would have suffered much during this period. It is with extra pride then, that author Ludwig Bemelmans must have completed the illustrations that are so central to this book, for almost every one features the famous architecture of Paris; the Eifel Tower, Notre Dame, The Louvre etc. These images dominate every page, sometimes being accompanied with just a word of two. The effect of this is to immerse the reader in the golden world of Madeline, for many of the images consist of a 'butter-yellow' background with highly-stylised charcoal characters, creating a warm, cheerful tone to the book. As with so many children's books, there is a distinct absence of parents. Madeline's papa does send her beautiful flowers when she is in hospital, so she is not technically an orphan, but that is all we learn of him. Perhaps he is a Resistance fighter?... but we never learn for sure. In loco parentis is Miss Clavel, a nun, going by her quaint habit, who runs the little boarding school that is covered in vines. Once again, this is a book of its time as it depicts a world that has almost disappeared out of memory. Yet, there is something charming about a world where the family has been replaced by a group of school girls, and it allows Madeline, who is the littlest of them all, the freedom to have adventures and gain independence. So, in Bemelamns' tiny character we see someone with great gumption, indeed she has survived these seventy years, and so was a fine match for the Nazi's after all. The second French book is 'Nicholas' by René Goscinny and Jean-Jacques Sempé. If I tell you that the former is also the author of the 'Asterix The Gaul' books, and that the latter is an illustrator for the New Yorker, then you have some sense of the tone of this book. Simply put, it is hilarious. First published in France in 1959, just fourteen years after the end of World War Two, this book is also a book of it's time. The children seem to spend forever playing out of doors and have little in the way of toys. They have to make their own amusement, which usually involves getting up to all sorts of mischief, but mainly joining in a great free-for-all and hopping on eachother. Before the advent of hyper-vigilant parenting, the children are only a moment away from being 'thumped', berated or worse. But still the old rules of fair play still apply, and that means that you never hit a kid wearing glasses. Of course when he takes off the glasses to give them a wipe, then he is fair game! The main character is a boy called Nicholas, who narrates the story. This first person narrative is ingenius, as it allows us to hear first hand how things go pear-shaped for Nicholas. Indeed it is his ability not to say what is really going on that is so endearing. The reader dwells between the lines, imagining what is actually happening and that is where most of the humour is found. One of the funniest stories in the book is about a simple football match after school. One boy begrudgingly offers his coin for the toss-up has to spend the entire game trying to find it when it has been lost in the long grass. We are not told directly about his aimless wanderings, but see him, appearing in the corner of the scene, eyes bent, searching... for the entire game. Another boy, Rufus, the police man's son, is the only boy with a whistle - a perk of the job - He refuses to be referee, that is Cuthbert's job, who is not good at games and is top of the class. He refuses to share his whistle with Cuthbert. This causes momentary difficulty, until the boys find a solution: Cuthbert,the referee, will tell Rufus, to blow the whistle whenever there is a foul. This causes great confusion and hilarity as you can imagine. 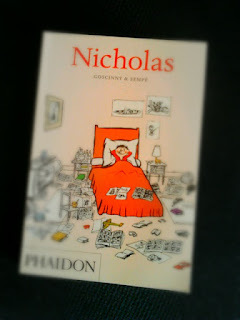 While Nicholas himself is a delightful comic creation, the book is overflowing with great characters. Each boy has a 'trait' that identifies him as a character-type: the rich kid, the thug, the brain-box, the hungry-Horace. This is completely different to 'Madeline' where the other eleven girls are nameless and only the main character gets to have any real adventures. 'Madeline' is also very much a French book, but 'Nicholas' could be set anywhere, the irony being that the latter was the book originally written in French. Indeed, it owes much to the skilled translation by Anthea Bell, whose understanding of comedy has made it a must for every child's collection. Sound familiar? For laughs out load at bedtime - or anytime - get your hands on a copy of the 'Nicholas' books. I would strongly advise that you read them with your child - you don't want to miss out on the fun. 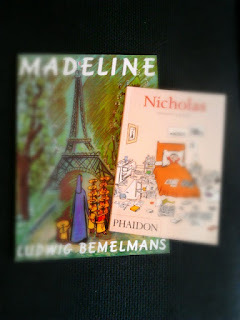 Both 'Madeline' and 'Nicholas' are the first book of a series, so the pleasure will just go on and on. Not a bad way to start the year. Amusez-vous bien!